Hobo Mama: Want to be a more playful parent? I have great news! My co-organizers and I at Mindful Nurturing have put together an incredible new e-bundle that will inspire your whole family to become more playful and creative: the Mindful Play eBundle. 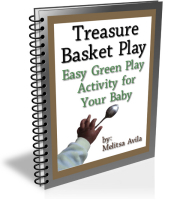 The bundle contains 9 play-oriented e-resources, plus phenomenal bonuses. It's for sale only through October 3. After that, you'll never see this particular collection together again at this price. Alphabet Glue is a downloadable e-magazine for families who love books. Filled with activities, printables, projects, and plenty of inspiration, Alphabet Glue was created in hopes of helping more families incorporate creativity, imagination and all things literary into their everyday routines. Each issue contains leveled book recommendations organized by theme, bookmaking tutorials, story-building activities, and hands-on projects that complement favorite titles in children's literature. From stories to science experiments, Alphabet Glue has a little something for everyone. This bundle includes two fall-themed issues: Volume 9 and Volume 14 — Fold functional paper periscopes for amateur espionage and make simple plant presses. Sail a fleet of tiny sailboats and learn a bit about surface tension in the process. Reflect on the shape of rain drops, and create a bit of refrigerator-ready art while you're at it. Make bouncy balls out of laundry room staples and handy office supplies, and spend a bit of time thinking about how fossils are formed before trying your hand at making your own. All this and more in two fun- and story-filled volumes! Born out of 6 months of travel with the author's own 4 children, How to Fool Your Kids Into Having Fun So You Can is an ebook packed with over 100 games for travelling without gadgets. These are not just your standard car or plane games, but also ones to keep them amused in restaurants, hotel lobbies, boats, and all kinds of places you might find yourself. Some will educate them along the way; most are just outright fun. And it doesn't have to be in some far-flung continent — they are just as useful even at your local deli. You could give your kids an electronic game — but this way you can give them some good old-fashioned fun interacting with people and the environment around them. Bring your sense of humour, and dive in. Animal ABCs is a fun way to take your toddler or preschooler through the alphabet while learning about animals along the way. Each letter features one animal that emphasizes the sound of the letter. Animal ABCs was created for children approximately ages 2-4 years. The bundle includes: Full-size display letters, full-size blank letters and animals to cut for craft, package of printable extras for each letter, all flashcards, all extra additions (Dot Fun, Play Dough Mats, Wall Posters, & Lowercase Letters). Once you purchase, you have access to a private page and you can come back and download anything new that's added! Join Sophia's jungle adventure! Fly like a toucan, slither like a snake, and flutter like a butterfly as you act out this journey through a Costa Rican jungle. What else might you see? Follow along with Sophia's story and her yoga moves. The storybook includes a List of Kids Yoga Poses and a Parent-Teacher Guide. Read more about the resources here, and then get your bundle today for only $14.95, at 80% off a retail value of $74. It's available only until October 3, so hurry! And, yes, I'm playing hooky from Sunday Surf this week to tell you about this bundle! I just wanted to make sure you knew right away since there are only a few days to learn about it and decide whether it's valuable to you. (But in the spirit of sharing links, Jennifer has a great one on Hybrid Rasta Mama about bundle burnout, why you should choose the bundles you do, and what you can do to organize your purchases. Definitely worth a read!) And I'll be bringing you some more play resources this week, so check back for inspiration toward fun and creative parenting. I am so grateful for your support. Buying the bundle supports this site!